OpenSim users will have to wait before they are able to use the new Second Life viewer on their grids because the core OpenSim software is currently being rebuilt, developers say. The are compatibility issues between Second Life Viewer 2 (Beta) and the current OpenSim virtual world server software, but they are “not major,” said John Hurliman, OpenSim core developer and Intel software engineer . For example, there is at least one new type of packet — or communication signal — that is being sent from the viewer to the server. OpenSim server code will have to be upgraded to support this. “The new viewer also does not ship with default terrain textures, so the majority of OpenSim regions that were relying on the viewer supplied textures would show up with white terrain,” he said. What this means in practice is that when users use the new viewer to log into their OpenSim grids, trees and water show up as white. Those users who try out the new viewer on their OpenSim grids without waiting have had mixed success. “Some people seem to suffer a crash almost immediately while others seem to be able to use it to some extent,” said OpenSim core developer Justin Clark-Casey. Most virtual worlds are built in two parts. One part is the server running the world, and the second part is the viewer software — also known as the client, or browser — which is used to access the world. This is similar to the way that Internet Explorer and Firefox can be used to access Web pages, which, behind the scenes, are usually running on the Apache server or Microsoft Windows Server. Two of the most popular platforms for business and educational use are Second Life and OpenSim, and, for the most part, they are compatible. 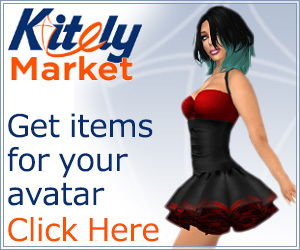 The same browser can be used to access both Second Life regions and worlds running on the OpenSim software. And objects, textures — even scripts — can be transferred from one platform to the other. Second Life currently holds a substantial lead in the total number of users — more than 1 million logged in over the past 30 days, while OSGrid, the largest OpenSim-based world reports only 4,500 active users. However, this does undercount the OpenSim user base since there are dozens of grids, and hundreds — perhaps thousands — of other grids run in private mode. 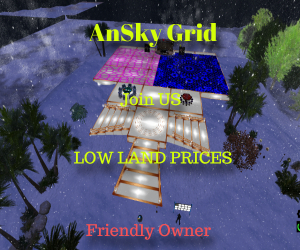 Meanwhile, the large, public OpenSim grids continue to gain on Second Life in terms of land area, as a result of lower costs. Hosted Second Life regions run around $300 a month, while OpenSim hosting starts at less than $20 a month. And behind-the-firewall installations of Second Life Enterprise start at $50,000 for the server license, while running OpenSim on your own server costs nothing. OpenSim is a particular favorite with artists and educational institutions looking for a low-cost way to put content into a virtual world, as well as large enterprises looking for full control. IBM, for example, uses OpenSim as the back end for its Lotus Sametime 3D collaboration product. OpenSim is built on a modular framework, so that it’s straightforward for enterprises to hook the platform into their back end databases, enterprise resource planning systems, and corporate directories. These users — artists, educators, and businesses — are also those to whom the new viewer features are of particular interest. Not so much the ability to manage your virtual outfits better — though that’s nice — but the ability to play media on any in-world surface. Prior to this release, surfaces could show QuickTime videos — but only one per region — or static images. With the new viewer, multiple surfaces can display live, interactive Web pages and Flash videos. All the heavy lifting is handled in the user’s browser, so the media doesn’t slow down the region. For enterprises, this means PowerPoint presentations, video chats, in-world collaboration on documents and spreadsheets. You can look over an employee’s shoulder as she learns a new application and guide her through it — even if you’re on a different continent. “I think, for business users, it’s a very very big improvement,” said OpenSim developer Snoopy Pfeffer, who also owns the Dreamland Metaverse OpenSim hosting company. However, scroll bars and logins don’t work well in the new viewer since each user will be seeing a slightly different version of the page, Pfeffer added. This may end up being addressed on the Web side of the equation. The way that Second Life has implemented this feature, despite the problems with lack of synchronization between the pages seen by different users, makes it straightforward to implement on OpenSim. The refactoring is a significant re-organization of OpenSim’s internal data architecture that promises to make the software more secure, scalable, and reliable. The two developers working on the refactoring project are Melanie Thielker, CEO of OpenSim hosting company 3D Hosting, and Crista Lopes, professor of informatics at the University of California, Irvine and inventor of the hypergrid teleport mechanism that allows avatars to move between different virtual worlds. The refactoring might take “weeks,” Pfeffer said, since the developers aren’t just making changes to OpenSim architecture but also writing software to help OpenSim grid owners to migrate from the old software to the new version. Meanwhile, the work that the OpenSim developers have done in support of the hypergrid mechanism will carry right over to the new viewer. More problematic will be Second Life’s support for full 3D meshes, expected later this year. Full mesh support will allow users to import objects from 3D design platforms, and to have more realistic avatars. OpenSim currently offers mesh support, through the optional modrex module or with the realXtend branch of OpenSim. If Second Life opts for a radically different implementation of meshes, then the OpenSim developers will need to go back to the drawing boards. Compatibility with the Second Life browsers has long been a guidepost for the OpenSim development community. Anything at all can happen under the hood, as long as everything looks okay in the viewer. Maintaining compability means that the OpenSim community has access to Second Life’s ecosystem of designers and developers — and also that the millions of people who have tried Second Life won’t have to learn a new platform if they decide to visit an OpenSim world.